So Tried Watching Scandal the Other Night…. And it sucked. Seriously this show right from the get-go tried way too hard. I got about 5 minutes into it before I tried to find another show on Netflix. 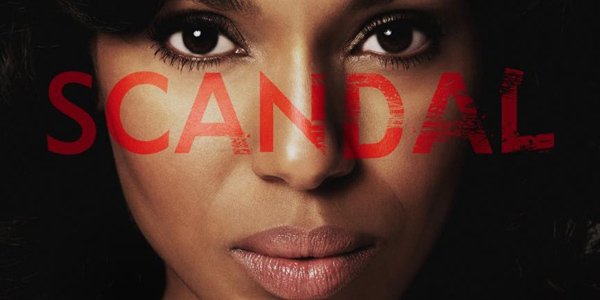 “Scandal” follows the story of Olivia Pope, played by Kerry Washington, who “manages” the Washington D.C. elite with the help of her staff consisting of Harrison Wright, played by Columbus Short, Abby Whelan, played by Darby Stanchfield, Quinn Perkins, played by Katie Lowes, Huck, played by Guillermo Diaz, and Stephen Finch, and Henry Ian Cusick, famous for saying “BROTHA!” on “Lost”. Despite this pretty excellent group of actors and what could be a solid story line, this show was over the top with it’s use of quick panning shots and Kerry Washington narration. It also seemed truly unoriginal, everyone says no to the case, Olivia Pope follows her gut and says yes. Never seen that before and in the end, the audience probably is shown that she was right all along, cue the sappy music. Oh give me a break. This show just tried to stuff its unoriginal plot down my throat and it wasn’t at all graceful about it. If I were you, I would totally give this show a miss, unless you can stomach their moral code that they shove down your throat.